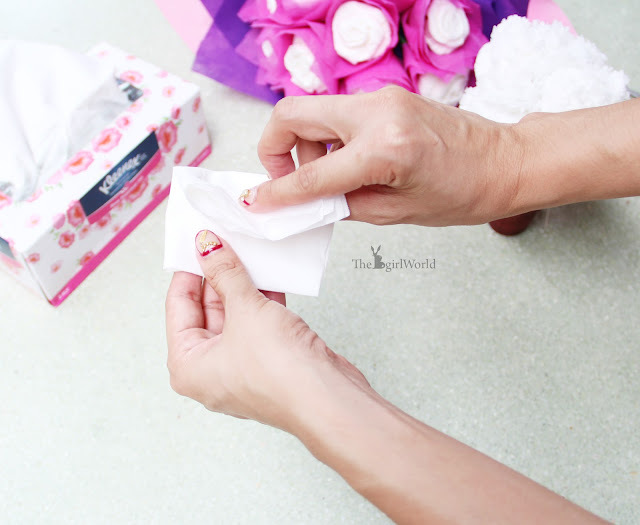 Alright, remember last time i blogged about Kleenex 3-ply scented facial tissue? check here. 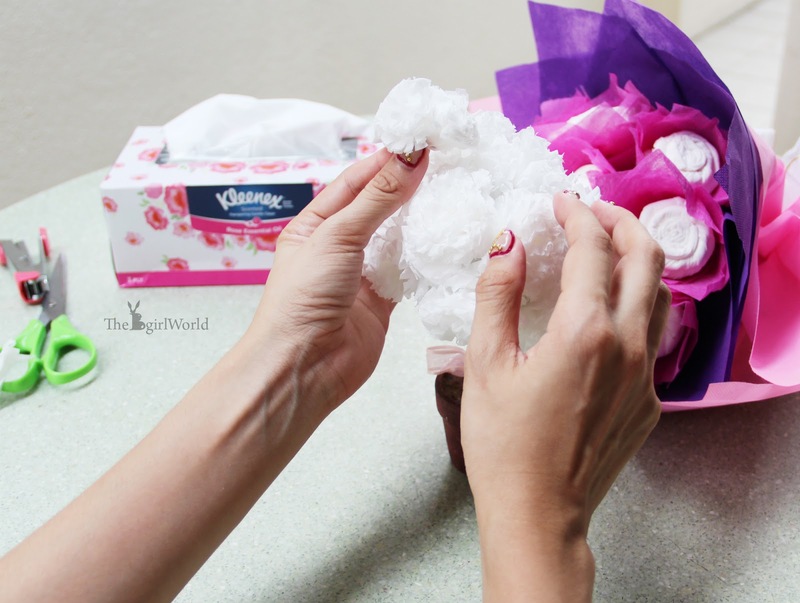 I was share some tips with readers to using facial tissue to make another things like decoration. 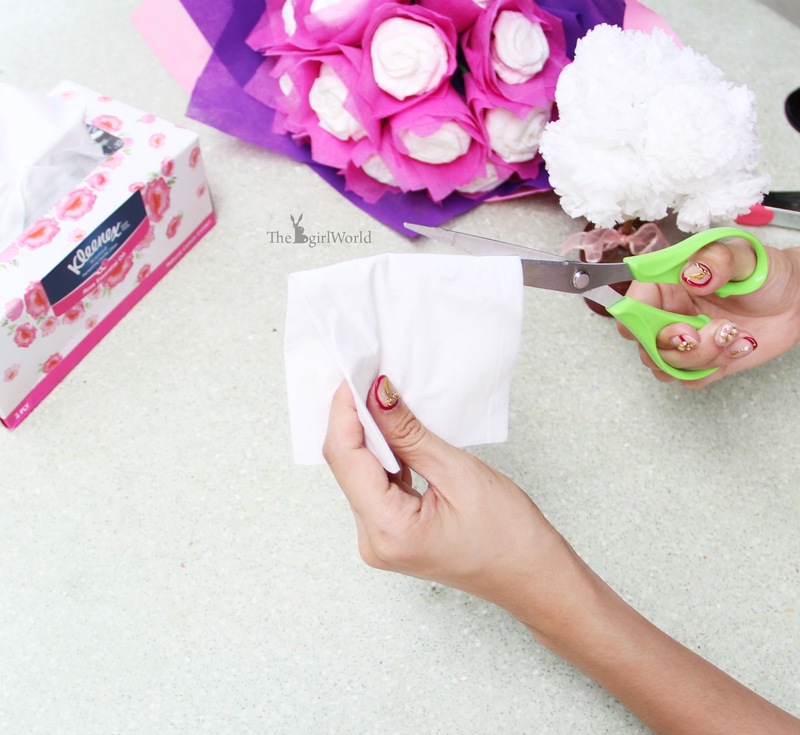 Some readers were asking me how to make this tissue flower tree and now i am gonna to teach you all. Hope this tutorial is just in time for you to make CNY decor. 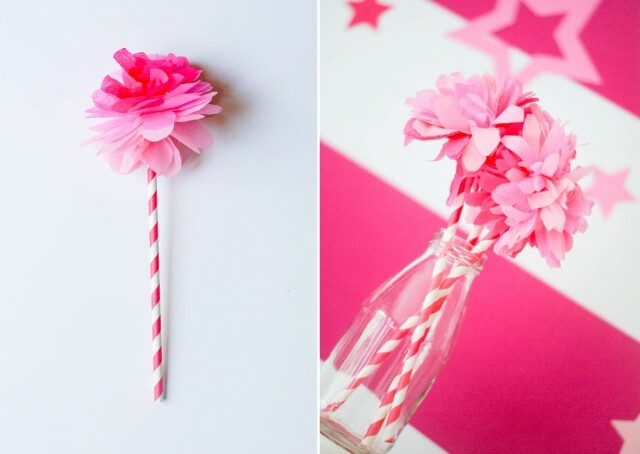 I LOVE pom-poms so much! 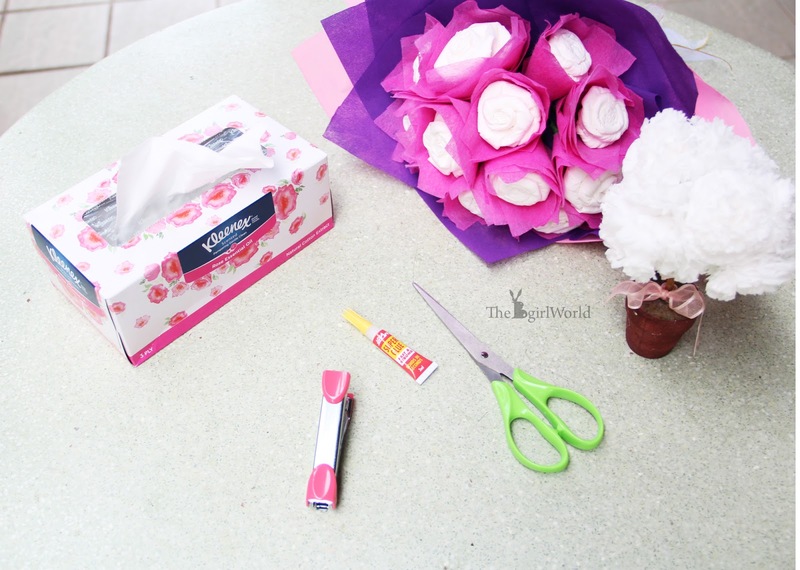 Why i don't want to use art paper to make this flower? 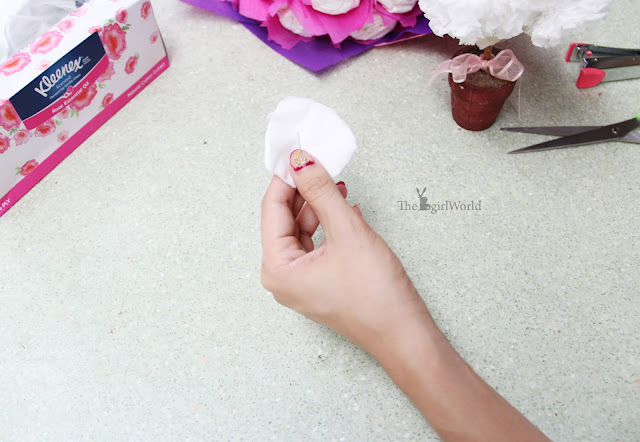 It is because tissue paper is the most light-weight paper so that it can present the soft glow beautiful looks-real flowers, imparting a cheerful radiance to your desktop or any decoration corner. Well, i didn't use Styrofoam ball because i reuse my tree table decor which put on my table for few years to become this tissue paper flower tree. If you are using the Styrofoam ball, you can make it like the picture as below, prepare your colourful pretty straw which you can get it at Tesco or TYPO. 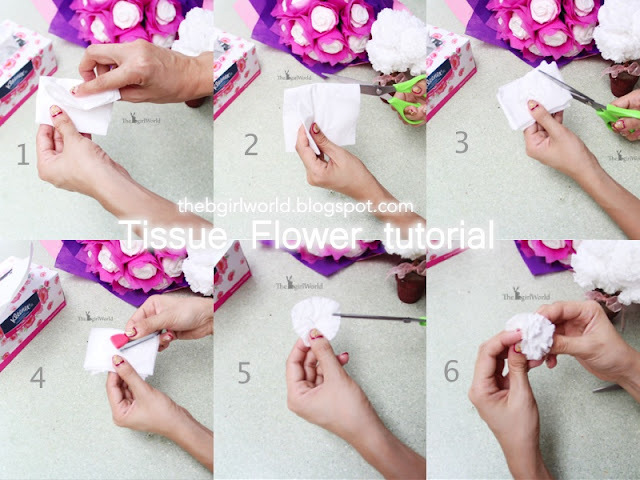 Step 1 | Fold one piece of tissue paper in half, then in half again two more times. 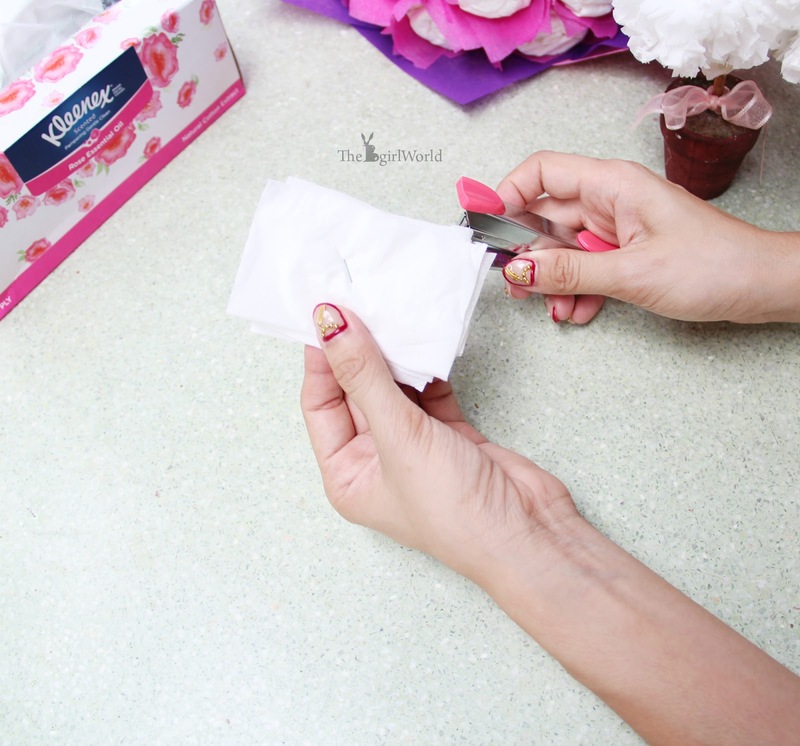 Step 2 | Along the folded edge, cut it. 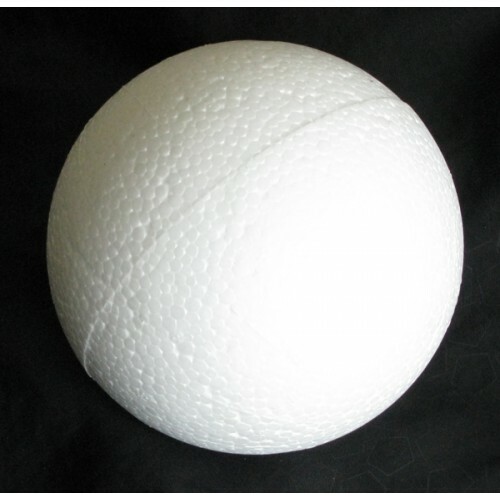 So this is the size. 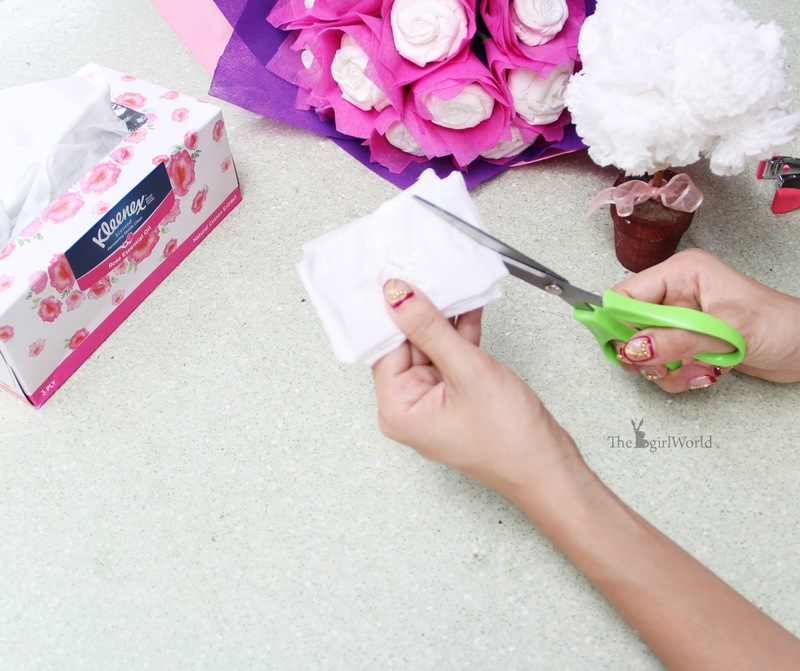 Step 3 | With all tissues in a neat pile, staple them together in the center. 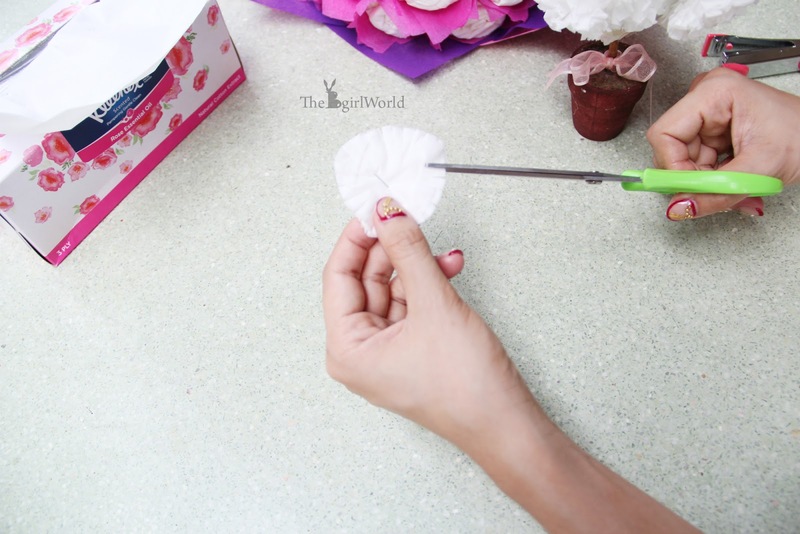 Step 5 | Use your scissors to fringe the edge of the circle. 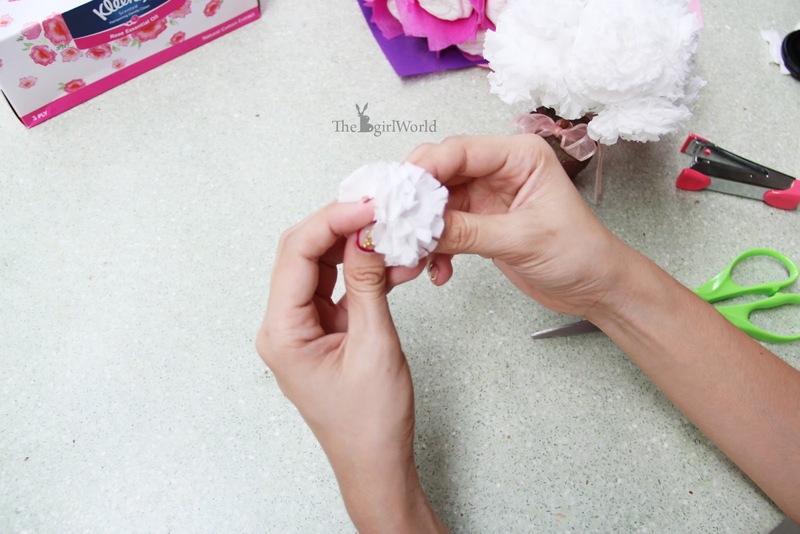 Step 6 | Scrunch each layer of tissue from the center out to create a ruffled flower. 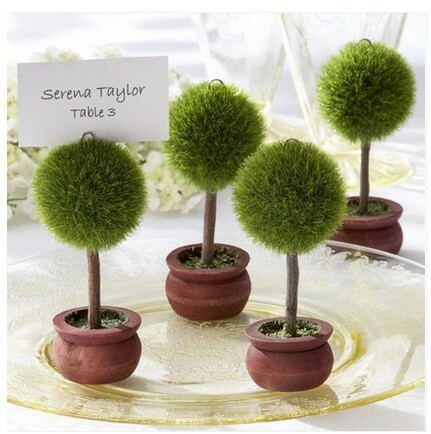 For my decoration, i was using superglue / UHU gum to stick on my reuse tree table decoration. 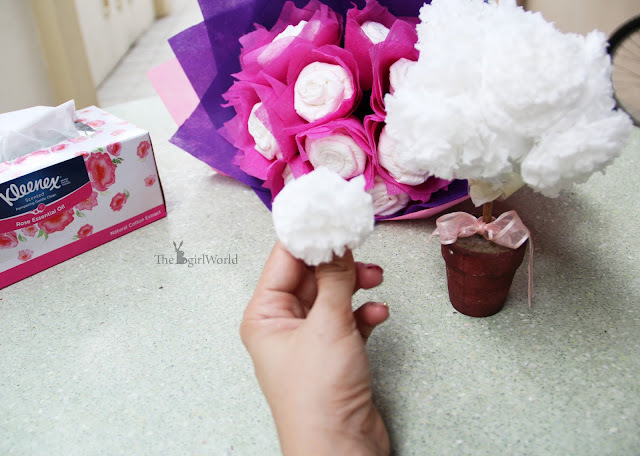 I love White, that's why i was using the normal tissue paper. 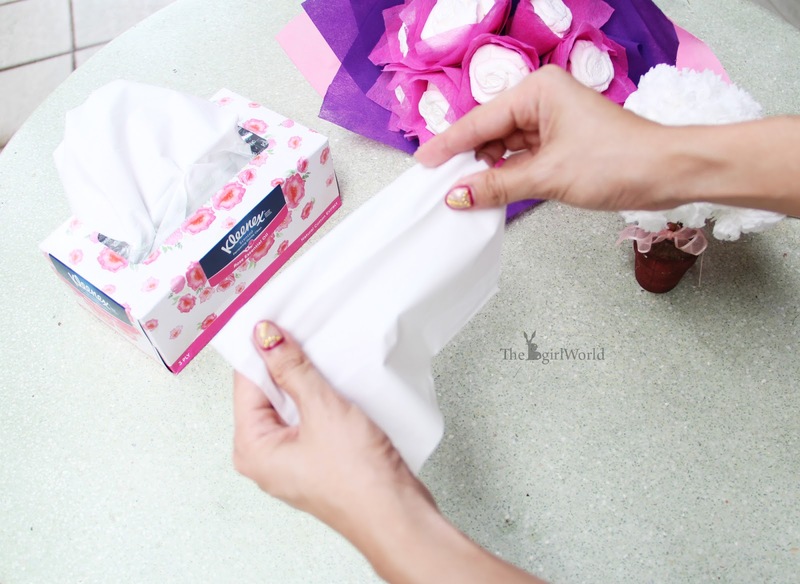 You can choose those colourful tissue paper to create more cheerful decoration. 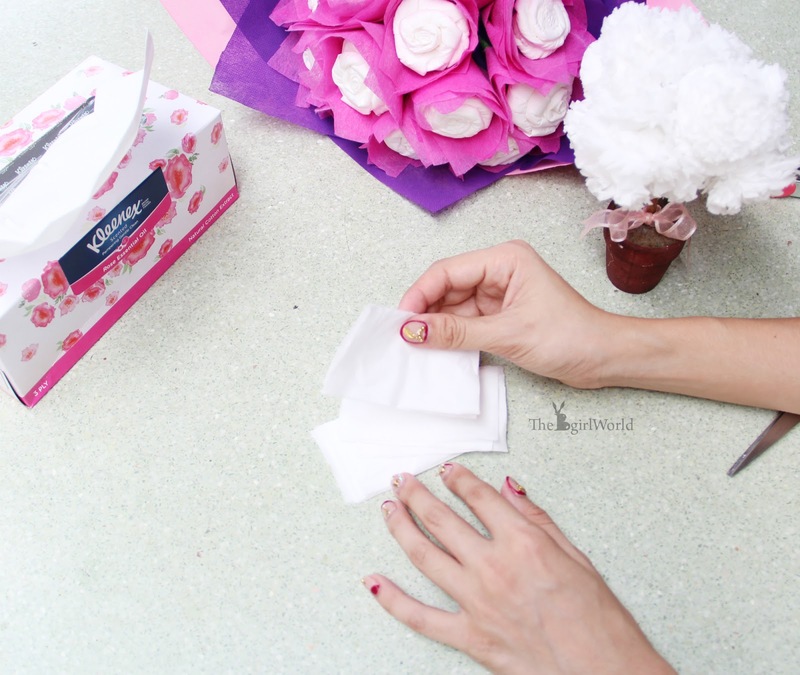 I was so happy these tissue paper flowers look perfect with. Hope my tutorial is easy understanding huh! 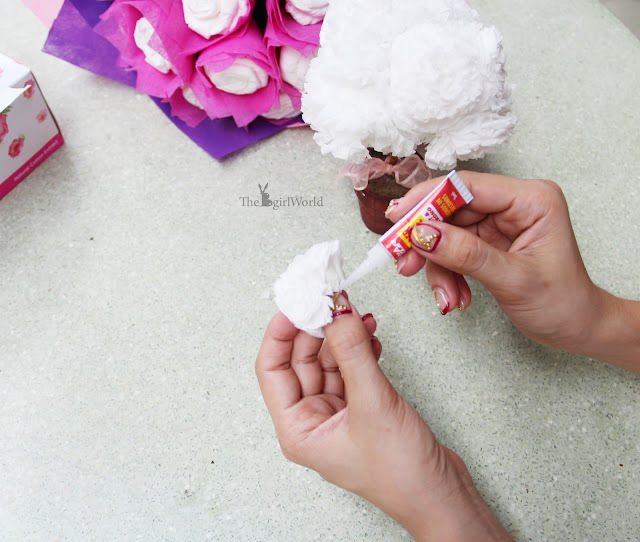 Happy D.I.Y! 2015 Annual Furry Princesses Trip to the beach!